by Melanie Albert, Nutrition & Food Expert, Integrative Nutrition Health Coach, Holistic Nutrition & Whole Food Cooking Instructor Southwest Institute of Healing Arts, Founder & CEO, Experience Nutrition. Make your own simple, tasty kale chips in just a few minutes. Enjoy! 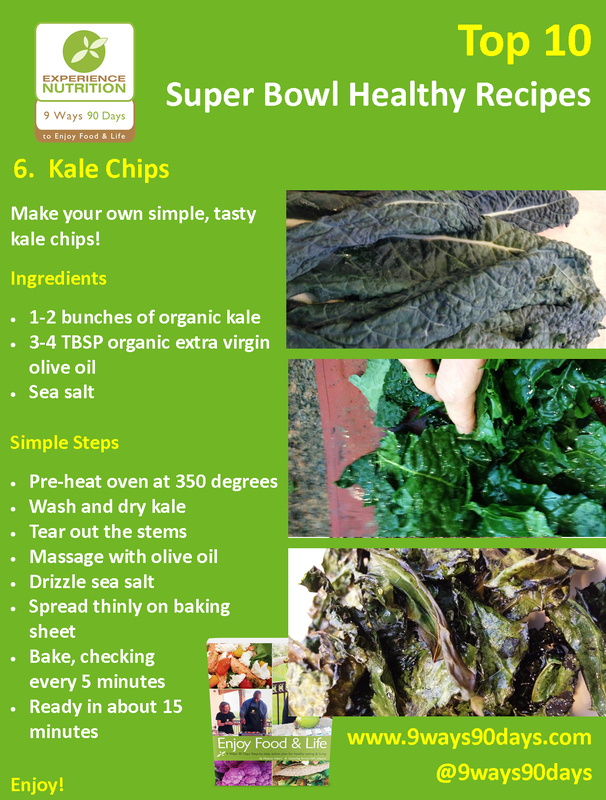 Share your Kale Chip photos on our Facebook page, www.facebook.com/9Ways90Days Top 10 photos this weekend will win a free e-book, “Enjoy Food & Life,” featuring nutrition tips and recipes by former NFL players and their wives.